culture and has become an arbiter of coolness and innovation. an area that as media scholars we don’t often interrogate: class. 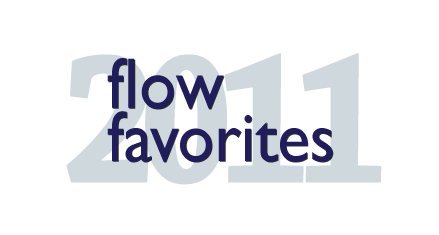 campaign is what makes this article a Flow favorite for 2011. Perhaps pulling a page from the Seinfeld playbook, Apple decided to end the four-year run of its now iconic “Get a Mac” television and Internet campaign in May 2010 while still on top of the advertising world. That same month, AdWeek named the campaign the best of the 2000s, and in October Ad Age crowned Apple its “Marketer of the Decade.” The latest installment in a celebrated line of advertising that stretches as far back as 1984 (literally), “Get a Mac” is also largely a departure from the over-the-top production, flashy aesthetics, and A-list celebrities of previous Apple campaigns. Two guys, a white backdrop, a meandering jingle, and a punch line are all it usually took for these ads to pitch Mac as…well…the thing to be. And why wouldn’t we want to be Mac? Both financially and symbolically, Apple’s resurgence over the past decade has carried the company into the elite class of the tech world. Interbrand ranks Apple as the 17th most valuable brand in the world in 2010—and the fastest growing1 —while Vitrue, a social media management firm, ranks six Apple brands, including Macintosh, among “the most social in the world.”2 Back in 1984, first generation Macs popularized the graphical user interface (GUI) that dominates screens of all sizes today, as well as the mouse, both of which made the Mac an early favorite of the art and design industries and a hip symbol of the creative ethic. Partnerships with educational institutions helped Mac (and Apple) weather the PC-dominated mid-to-late 1990s, while at the same time adding an air of youth and imagination to the brand. Apple has since grown notorious for their products’ closed platforms, frustrating software developers but defining an exclusive, discriminating reputation for themselves. The “Get a Mac” campaign cleverly leverages this reputation into a simple narrative that emphasizes the social and youthful, yet seemingly classless nature of Mac and the real-world users he represents. But obscured in the sterile-white world of “Get a Mac” are indeed messages of consumption and class, though ones artfully subjugated by a comparative advertising trope we have become used to in the U.S. Our society, historically prone to denying very real issues of social class that are perpetuated in the consumer culture, reads a text like this as an invitation to switch teams, to make life easier, to be a little bit cooler, to enter the “In” crowd. “Get a Mac” appeals to our youthful, globalized, and hybridized post-industrial selves who would prefer to think that conflicts around class, race, and gender were completely conquered in the 1960s and 70s. The myth employed in these ads tells us it is easy and straightforward to be this person—to become Mac; it’s a myth that supports the dominant “classless-society” thesis and hides the real societal hurdles that such a personal movement would have to navigate. Thinking about mass media texts as creators and carriers of myth was perhaps most notably popularized by Roland Barthes, who felt that myths naturalize and depoliticize the facts embodied in the stories we tell ourselves. He writes in Mythologies: “Myth does not deny things, on the contrary, its function is to talk about them; simply, it purifies them, it makes them innocent, it gives them a natural and eternal justification, it gives them a clarity which is not that of an explanation but that of a statement of fact.”3 In the dominant digital discourse of the past decade and a half, the speed, ease, and social penetration of information technologies have opened up myths around the end of history, the end of geography, and the end of politics.4 These myths argue that the equalizing and democratizing force of the Internet will end boundaries to access and participation that are persistent and problematic in the analog world. Seizing on the spirit of this discourse and playing off of its basic goal, Apple offers the characteratured dichotomy of “Get a Mac” as an argument for the end of consumer class divides, an end attained by the ultimate ability to connect with everyone. Mac is our role model in this ascent to the end of class, floating through the post-industrial world eternally laid-back, naturally creative, and rarely compelled to work (though dressed to the nines when the occasion arises). He effortlessly communicates with both humans and other technology, confident in his own skin (or should we say case?) and free from worries of illness (viruses), life changes (OS upgrades), or information overload (multi-tasking). Justin Long’s Mac is enabled by the fact that he doesn’t really have to “work” at anything, even work; he lives the life of leisure enabled by advanced technology. His counterpart in the 66 television spots and 12 banner ads produced for the U.S. campaign is John Hodgman’s PC, the drab-clothed, overweight, lower-to-middle management archetype who is clearly awkward outside the work context (and we can easily file his efforts at shameless self-promotion, the dominant folly in many of the spots, as work for him). PC is defined by work and feels entirely uncomfortable, inadequate, or oblivious when dealing with the social and familial aspects of life, as we see in spots like “Work vs. Home” and “Meant for Work.” PC taps into our fears of what middle-class really means for the American psyche, but “Get a Mac” is careful to only approach these feelings through a comical stereotype, allowing us to view the anger, resentment, and depression of this class position from a distance with a chuckle. These fears are then assuaged by the presence of Mac, offered not with the baggage of a stereotype but with the promise of an ideal and the path of escape from our complicated lives. “Get a Mac” has inspired a bevy of parodies both in the mainstream media (David Letterman produced a number of spoofs for The Late Show starring comedian Chris Elliott) and on the Internet, with some of the latter efforts garnering YouTube view-counts in the millions. And while some of these Web parodies are produced by institutional authors with a stake in the Apple/Microsoft battle for market-share (specifically, the Novell Linux series that promotes an open-source solution to the OS wars), most seem to be authentically homemade efforts to subvert the corporate campaign’s message. 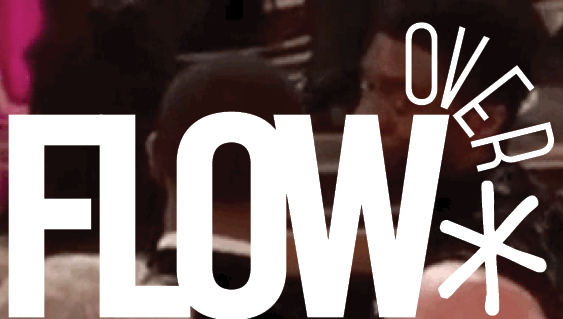 These videos are often sharply critical of Apple’s self presentation in the original ads. “I hate MAC ads” features an animated Mac claiming “I’m better ‘cause I’m shinier,” while the South Park-themed series of spoofs depict a less-than magnanimous Mac heckling PC and sending him a virus. Collectively, these parodies attempt to bring Mac down from the mythic ideal that is portrayed in “Get a Mac,” humanizing him with a range of emotions and depicting him in true conflicts that arise from such interpersonal encounters of rivalry. Both professionally and culturally, “Get a Mac” has made a mark on the Western media landscape, and the simplicity of its form just seems to lend itself to imitation. A recent web story even linked the campaign to a Washington intelligence meeting, where the characters were used to explain the personalities of two al-Qaida members.5 The ads’ catchiness is undeniable, which, like any advertising or public relations message, makes the implications of its meaning that much more significant (and in this case, dubious). The myth of “Get a Mac” reveals to us that anyone can be a Mac, and in doing so, transcend the material and cultural barriers of class, while at the same time it conceals in its humor the very real “work” (used both literally and figuratively) that makes up these barriers. Microsoft’s response campaign “I’m a PC” challenges the missing humanity in the Apple ads, but offers its own myth on the real-world versatility and accessibility of its product. As such, it is important that we consider the myth-busting efforts of those who are resistant to the ubiquitous messages of consumer culture and offer their own comedy as a means to negotiate the stories we are sold in lifestyle advertising. Reading the article reminded me of Joseph Turow’s theory on segment-making media, where it is encouraging “small slices of society to talk to themselves.” Turow believes that the United States is shifting, or has already shifted, away from society-making media – which enables different segments to converse with one another – as advertisers are targeting and entering into people’s private space. Through this infiltration, advertisers are aiming towards people’s “lifestyle” with specific products. Turow essentially argues that we will all be living in our private constructed world as this categorical diversity will limit overlap and interaction between people from one segment to another. Randall Livingstone’s assessment on Apple’s “Get a Mac” ad reveals how this campaign is targeting our lifestyle by fusing leisure and work together. Go buy an iPad or a Macbook because not only will you be constructive, you will have fun and relaxation doing it. This targeting towards the consumer’s leisure and working lifestyle is quite a paradox because while it is segmenting society – PC versus Mac – it is also masking it in more society-making terms. In other words, it is segmenting consumers by emphasizing “the social and youthful” and the “seemingly classless nature of Mac and the real-world users.” It is segmenting consumers by stripping us away from reality, where PC represents our fears of what middle-class really means in America, and situating us in an imaginary one, where Macs offer a naïve misconception about America as being race-less, classless and genderless. Hence, it is hardly surprising that Apple is distinct not only for its simplistic design of its gadgets and programs, but also for its colors. It is either black or white. There are the occasional variety in colors in cases and “socks” but it is all meticulous designed to fit neatly and categorically in their line of clean and neat products. In a society where race, class, and gender are a non-issue, diversity and multiplicity are thus nonexistent. We are all united as people through consumerism. However, this only rings true if we choose to become Mac people. Anything outside of this realm is not a real lifestyle. Life is messy, unless you live with a Mac. Lifestyle advertising relies on myths in order to sell a bill of goods. No one product will supply the overall lifestyle it professes. If this were the case, then all mac users would be relatively good looking, marginally charismatic, arguably witty, brunette, white men with questionable senses of fashion. The product is an add on to the list of goods we buy in hopes of reaching the level of status (whether it be: cool, rebel) lifestyle brands suggest their products provide. I think we all learn quickly, perhaps at sandbox age, that you can’t buy love, and more simply, you can’t buy class. And thus, these advertisements definitely appeal to the very young child in us that feels we can literally become the image on the television screen when we purchase a product, but I imagine, that on some level, these ads are futile. Those of us with the means to buy into the lifestyle are adults and well aware that the item we intend to purchase will just be another item on our shelves which once fulfilled our needs to be needed, to seem cool, to seem smart, to seem as apart of the lifestyle the product professes to provide. But then, we will soon be on to the next item. We’re in constant search of the next piece to add greater authenticity to the lifestyle we’re intending to buy, and yet on some level I think we all know we’ll never really own that lifestyle. I appreciate this article. I agree that pitting two white men with the only heavily politicized distinction between them being age is a wise way to get us to ignore what’s really separating us all and perhaps what’s lazy about advertising and wrong about capitalism. Well done! What a terrific article! Apple certainly has dominated over the last 10 years with these types of ‘generic’ ads that seem to target everyone. However, you mention that within these ads “issues of gender…are generally avoided” and I’m not sure that is the case. It is important to note that women are nowhere to be seen in these ads, yet they are targeted by Apple at the same time. According to Katy Kelleher’s “Are Apple Products Secretly Girly?” women are responsibly for nearly 80% of all consumer purchases “and in the ‘male’ industry of electronics, women buy almost half.” The Apple brand is especially appealing to women with their trendy stores, stylish and elegant products, and focus on ease of use (because stereotypes tell us that women apparently can’t commandeer complex technological gadgets). I argue that by not including women in their ads, they are specifically using gender as a way to appeal to women in particular. The “I’m a Mac” ads almost seem to function as dating videos. The contestants address the viewer directly and tell the audience about their hobbies, habits, and lifestyle. Justin Long, representing Apple, is obviously more of a celebrity (not to mention an actor in multiple romantic comedies). Even thought he is dressed down, Justin is trendier, more hip, and comfortable in the spotlight. When they suit up, Justin clearly gets the better ensemble and at the end of the day, Justin’s personality shines through in his humor. It’s not a real stretch to think of who would win the date if this was match.com. Neurotic, bumbling and self deprecation only wins you points in a Woody Allen movie. Another Mac ad to look at is: http://www.youtube.com/watch?v=KNnX6XRQBec, where our favorite Mac and PC reps spar over the production of home movies on their respective brands. Apparently, if you’re on a Mac, you’re home video looks like Gisele Bundchen and if you’re on a PC, you get a guy dressed in drag. Gisele is someone whom many women look to as the embodiment of female perfection. If Justin Long can ‘create’ something that looks like her, you must be in good hands if you choose Apple. In a sense, if you buy Apple, you can be her (or at least ‘create’ her). Obviously, these are vast generalities and I am not claiming to represent women as a whole, but when we are deconstructing the myth of Apple’s very intelligent marketing strategies, it is important to note that while they may seem to be staying away from issues like gender, etc. they may not be avoiding them at all. Instead, they may just be slipping the issues past the viewer without them even noticing. Now that is clever advertising. The idea that anyone can purchase a place in a higher social class is not a new one, and it is this idea that finds a place at the center of the “Get a Mac” campaign. The advertisements may indeed strive to eliminate previous ideas of class and class boundaries, but, as Livingstone outlines, those intentions are quickly negated by the characterizations of both Mac and PC. The creative working class of Mac users, which have been helping the Mac brand to flourish for decades now, is presented in these advertisements as laid back, relaxed and fun, as people who don’t take life too seriously. And why would you want to take life seriously when you could have the amazing success a Mac will afford you? Livingstone’s description of the “elite class of the tech world” is exactly what the “Get a Mac” campaign is about. The reality of the “elite class,” however, is that not everyone can reach it. The Mac campaign may suggest a level playing field, but Livingstone’s argument is clear and sound: The youthful, carefree image of Mac is one of a higher class, an elite class, that some of us will never achieve. This flow raises some interesting elements in the “Get a Mac” campaign and stimulates thoughts from my own personal relationship with Mac. I do agree with the campaign being on top of the advertising world and being named “Marketer of the Decade.” The ads were clever, funny and simple. Whenever one would come on the television I would get excited at what new skit they were going to come up with. I switched from a PC to a Mac in November of 2006. I bought a Mac Book Pro laptop. I had made the switch because my Dell started to overheat and shut off after two and a half years. I was tired of it running so slow and having to deal with updating my antivirus program. My parents had owned a Mac back in the early 90’s and I remember that computer being tough as nails and lasting many years. So I thought my Mac Book Pro would do the same. Livingstone states, “He effortlessly communicates with both humans and other technology, confident in his own skin (or should we say case?) and free from worries of illness (viruses), life changes (OS upgrades), or information overload (multi-tasking). Believe it or not but Mac cannot communicate with other Apple products unless they are on the same operating system. So if your Mac is more than 4 years old like mine then it is useless to anything that comes out from Apple from now on. How do I know this? Well I just purchased an Ipad and the gentleman at the Mac Store told me that my Mac, which is not even 5 years old yet, is too old too communicate and sync anything with my Ipad. I would need to pay to upgrade. Sure I would love to upgrade my computer but what is holding me back is that my Mac Book Pro is about to fall apart. The CD/DVD-Rom stopped burning two years ago, my battery is shot so I always have to stay plugged in, and my fan makes a funny noise when my computer has been on too long. The gentleman then told me that it is typical for my computer to do that and I should be looking to buy a new computer every three years. I could not believe it. I fell victim to the sexiness and curb appeal of a Mac. Will I continue to buy Mac computers? Yes I will because I do still feel like they are better than PCs and they are more compatible in my line of work. I do not totally agree with the statement, “Apple offers the characteratured dichotomy of “Get a Mac” as an argument for the end of consumer class divides, an end attained by the ultimate ability to connect with everyone,” but it does have some truth to it. There is an automatic divide because some consumers are so anti-Macintosh because it is so publicized and sought over. Those consumers refuse to ever own a Macintosh because they don’t want to be known as following the popular trend. They think that Macs are overrated and over priced. But if those consumers were persuaded and everyone owned Macs then yes there would be an end to class divide. So the statement about Mac being a role model to end class is completely true and I do agree with it. I just converted my mother to a Macintosh last year, so it is possible. 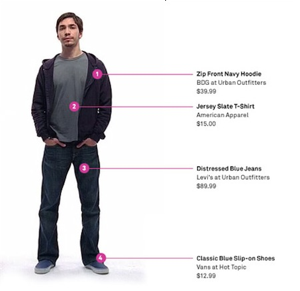 One of the interesting aspects of ‘Buy a Mac’ is how effectively the advertisements slide into ‘buy a plain hoodie (t-shirt, canvas shoes, etc.)’. Not only does the Mac computer cater to techno needs and aspirations of youthful elites, but also constructs visions of their lifestyles. Yet Mac’s clean, simple, effortlessness underscores how stark the contrast is between real life and life as it is advertised by Mac. As Livingstone notes, its doesn’t appear that Justin Long’s Mac has to work at anything because he lives and computes with such ease. This image of Mac as having attained an effortless state of leisure belies the high cost of affording this lifestyle. Unfortunately, even though Mac is post-industrial, post-class, and even post-work, the purchasing public is not. Though most of us might identify with the aesthetic logic of the ads and lifestyle they promote, paying for it is another matter. So regardless of whether class markers are erased from advertisements, the price tags for these products remain class-distinctive. it is very interesting article. This reminds me of my undergrad when I was studying advertising, subscribing all these ad-related newspapers. I watched all these Mac ads, and very much enjoyed because it was just so funny to watch how they placed stereotypes for each products, and as a PC user, I couldn’t agree more about illness, life changes, and information overload, and an agent(!) which you didn’t mention in the article, indicating every single warning message from windows that you need to approve and say yes when you try to get things done. I strongly agree that the “Get A Mac” advertisement is such a good campaign. It is very simple, delivers its message very straightforwardly, and entertaining for both Mac and PC user. However, even though I enjoyed the ad and made fun of PC while I was using PC, I didn’t switch Mac. First of all, because of apple’s closed platforms, it is not compatible with most of games and foreign websites. And for weird reason, the message of this campaign, ‘It is simple to use, no need to connect all these black cables, it is the product that you need if you want to be cool,’ is somehow correlated in my mind with the scene from Legally Blonde when Reese Witherspoon, supposed to be the girlest person in the planet in a very stupid and funny way, bought a Mac and she was the only person who had Mac in the classroom at Harvard university, which at the point made me think that Mac is not for people who look for advanced technology, but more for people who cannot utilize it, but rather want to have fun with it. So I do get the part that they were selling this myth “high social, elite class,” but it never really work for me. The “Get a Mac” campaign created the impression that by merely looking a certain way you don’t have to work hard and be boring. The ads sold the idea that by looking the part of the cool hipster, creative with hoodie, t-shirt and distressed jeans the rest of the middle/upper class lifestyle would follow. Like the people used in the campaigns, the computers were cooler, lighter, and colorful, they could not be tied down. The myth emphasizes the analog world of our parents and the new freedom and creativity that the digital age had bestowed upon us. This new generation of users and computers were suave, creative, relaxed and protected from the danger of “rat race pc user.” There is a mythical ideal of what it meas to be “mac” which gives it’s user access to all of the latest movies, music, pod casts while PC has it’s own version of fun things, time sheets, spreadsheets and pie charts. The adds were effective. It became a goal of mine, and millions of others, to purchase the $1200 laptop as opposed to the $400 PC. We were willing to pay much more for the same amount of hard drive space, ram. I was convinced that owning a mac was exactly what I needed to begin all of my creative endeavours, and I was willing to pay $800 dollars more for the sense of “cool”. I was afraid of being like the old generation working in data entry or tedius cubicle in corporate America. What the Mac ads were so successful in doing was creating the illusion that play could be work. Work could be filled with passion, creativity, videos, music, pictures and dynamic presentations. While the PC still represented what life was like for most of America in the “typical” boring 9-5 job. I don’t know how often I hear people say I got into this business because I’m not the 9 to 5 type. Who is? The truth is that these creative jobs are just as demanding and may even be 9 to 9 jobs, many of them still selling widgets and services to the masses, but hopefully it’s through a Mac, and not a PC. I think the “Get a Mac” ad campaign is successful because of how simple it is on the outside, while underneath the surface, it is driven by some subtle marketing techniques. As you note, the campaign strips away issues of race, gender, etc. You also say that it avoids addressing age, though that is a point I would contest — granted, none of the ads specifically address age, it is implied that the older PC character is less modern or “hip,” and his age reflects that at least partially. The campaign suggests that Macs are easy to use (which, I think, is very true) but not that things are oversimplified. This, I think, is also a way to address the age issue: the younger generation (18-34) is generally more tech-savvy than the older demographics, so they want a product that is accessible without any frills. Mac wants to capitalize on that, without watering down the product so much that it will seem like a learning tool for that older demographic. i think the ads are especially interesting because in my experience, the average Mac user really is quite similar to Justin Long’s portrayal of a Mac. If you go to any college campus, you will notice that Macs are extremely prevalent, and that most people who use them are in at least some ways modern/”hip.” I think that this just supports the idea that the “Get a Mac” campaign really was one of the most effective campaigns in recent years. It targeted a broad demographic and found a way to convince people within that demographic that Mac products are ideal. Successful marketing makes for successful growth, as reflected by the statistics you brought up. As I am commenting from a Mac computer at a computer lab in my university, I realized my easy acceptance of using this Mac over using the other PCs spread out over the lab. With the catchy lifestyle advertising done by Apple, I have indeed bought into the myth perpetuated to us consumers. Appealing mostly to the young generations, Apple has successfully made its pitch in selling its products to this demographic. With the ideal of ‘anyone can be a Mac’, it is seen as easy to jump ship from a lower class, as depicted by the sluggish, overweight, and awkward character of John Hodgman, to easily join a more sophisticated ‘in crowd’. Justin Long’s character, which embodies the Mac, lives leisurely, has a fit body, and is generally worry-free, connoting the characteristics of an Apple computer. There is a certain fear which is presented, aimed against living with the characteristics of a ‘PC’, because outdated, sluggish hardware is obsolete in the ever changing, ever evolving technological world. Long’s appearance as a young, college student, who is hip and socially competent subtly makes him a hypocrite in my eyes, as Macs are generally way more expensive than PCs to afford. This appearance of Long further acknowledges the myth that just anyone can get a Mac and afford it. Being a college student myself, I actually use PCs more, and actually found it more cost effective to build my own desktop PC, however there is always a certain lure to using Apple products. It is within this myth portrayed by Apple in which I feel many younger generations are influenced by. I feel as if the ad campaign’s approach to class boundaries plays an interesting duality. What Apple is marketing are sleek, hip versions of the old, clunky computer. By eliminating class anxieties through not portraying class boundaries, the campaigns appeal to the upper class (who could wish to remain “hip”), the middle class (who could like to believe in a world changing for the better, in which the middle class is perpetually growing larger while prevalent and realistically growing social problems are resolved), and the lower class (who can feel as if they are a part of something new and classless). I think that although these ads appeal to an individual that inwardly hopes that their world is moving towards classlessness, ultimately the campaign is focused on appealing to the greatest amount of potential Mac buyers regardless of social reality, and the fact that it obviously and at the least somewhat effectively does so is quite remarkable. Apple does a really good job of making non-Apple consumers feel left out. Today, you can see Apple ads of iPhones in which the narrator directly states, “If you don’t have an iPhone… well, you don’t have an iPhone” making the viewer feel completely devalued without the product. I think this is completely wrong to make viewers want more, but I do think it is an effective ad that creates sales. I have a big love/hate relationship with Apple. I am an Apple user, but I hate how I have been a victim of their marketing scheme. “In October Ad Age crowned Apple its ‘Marketer of the Decade. '” I agree with this statement. I think they truly are good at marketing. For many years, I was always against Apple computers and was a prideful PC user, but when college came around and I had to decide on a new laptop, I had a strong desire for an Apple computer. It must have been the numerous advertisements shown throughout the years that really stick in your head and make you feel superior by having this product. As much as I hate seeing these advertisements that practically decide what’s “in” or “cool,” I do believe that they are good examples of effective and successful marketing. While it would be easy to advertise a computer from a technological standpoint, Apple chose to de-mechanize their ads. They instead made human representations to connect with the consumer with a human face. Instead of displaying specifications and model variations, they sell their product with humor and slip on shoes. This then can communicate with all audiences which develops liking. As if the laughter was not enough to boost positive association, Apple also casts their product as young and hip. Apple uses an already popular advertising scheme: targeting the youth, to secure their product in the home. By taking a psychological approach with their ads, Apple gets under the consumers skin and build association from the ground up. Apple sets their product up as a fashion statement as well as an effective machine. Essentially Apple gives the impression their products are infallible. This bold confidence builds Apple a hearty consumer base, despite the blatant nature of their ad campaign. Since the beginning, advertisements served to signify the audience’s discontent with their own lives as well as their material possessions and Apple has proven this idea to be true. 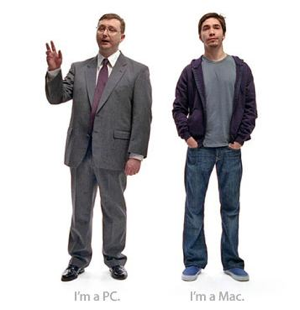 In the discussed advertisement, the Mac and PC interfaces are personified into a stout, middle-age man in a gray suit and tie (the PC) and a significantly younger man as the Mac who is shown wearing an unzipped hoodie and jeans, connoting to aiming at a younger demographic, one who would rather devoid himself of anything related to business, or the life in a cubicle. They make no mention of any technical specifications, nor do they display a picture of the products they are promoting. They simply mention their names, and assure their audience that their product is better than the rest. The majority of computers here on campus are Macs, which states that Apple’s marketing strategy is not only effective in attracting a younger audience, but it also influences educational institutions as well. Apple has proven to be a pioneer of contemporary advertising, and this article provides very elaborate commentary on how these ads function to point to the audiences need to better their lives, or prevent them from living a life in suit and tie behind a cubicle.